As Indonesia’s President Joko Widodo, popularly known as Jokowi, approaches the end of his first year in office, some Indonesians are looking back nostalgically at his predecessor, Susilo Bambang Yudhoyono. Yudhoyono ruled Indonesia for ten years between 2004 and 2014. He chalked up a lot of firsts, including as the first Indonesian president to be popularly elected and the first democratically elected Indonesian president to see out the maximum two terms permissible under the constitution. His presidency marked a period of political consolidation that followed the tumult of Indonesia’s democratic transition and locked in many of Indonesia’s most important democratic reforms. Yudhoyono’s international reputation was also strong, with world leaders like Barack Obama praising him as a statesman and a democrat. In contrast, Jokowi’s presidency seems amateurish, sometimes bordering on chaotic. Despite Jokowi’s many promises to be a reforming president, he has become as bogged down in the politics of ‘cow trading’ (as it is known in Indonesia) as any of his predecessors, dishing out cabinet posts and other positions to former generals and party politicians who backed his run for the presidency. Rather than challenging the forces of oligarchic and bureaucratic privilege that so dominate Indonesia’s political landscape—as many of his supporters had hoped—he has, on the whole, compromised with them. For example, the country’s respected Corruption Eradication Commission (KPK) has come under sustained attack from senior police officers and politicians after it investigated many of them for corruption. Jokowi has done little to protect the institution. His popularity has suffered as a result. While Yudhoyono’s job approval rating averaged around 60% over his two terms in office, some surveys already place Jokowi in the low forties . If Jokowi already appears to be in trouble, is the contrasting praise for Yudhoyono equally deserved? In our recent book, The Yudhoyono Presidency: Indonesia’s Decade of Stability and Stagnation , my co-authors and I argue that while the Yudhoyono years may look positive in contrast to what has followed them, they were not marked by a record of outstanding positive achievement. Many of the major reforms for which Yudhoyono often gains—and claims—credit, such as the introduction of direct elections of local government leaders, were in fact products of earlier presidencies. The KPK burnished Yudhoyono’s anti-corruption credentials by pursuing many high-profile cases of graft, but this institution was actually created under his predecessor, Megawati Soekarnoputri. Yudhoyono allowed these and other institutions to function, but he didn’t initiate them. In fact, it’s hard to identify major reforms that were a product of his presidency. This record of stabilisation rather than reform, we argue, was closely related to Yudhoyono’s self-image and philosophy of rule. Yudhoyono was a leader who above all saw himself as a moderating president. He viewed his role as being to stand above the conflicting interest groups which constitute Indonesian society and seek compromise between them. Unlike some consensus politicians who seek compromise in order to pursue a personal agenda, there is little indication that Yudhoyono saw himself as gently guiding conflicting forces toward his own policy positions and goals. Instead, a recurring pattern in his presidency was that a reform proposal would make its way through the policy process, but Yudhoyono would shelve it once it ran into resistance from the ministers or other officials whose interests it challenged. Yudhoyono instincts were almost always to avoid conflict and seek the middle ground. In many ways, therefore, Indonesia went into a holding pattern during the Yudhoyono years. The democratic reforms of the period of rapid political change between 1998 and 2004 were preserved, but not deepened. 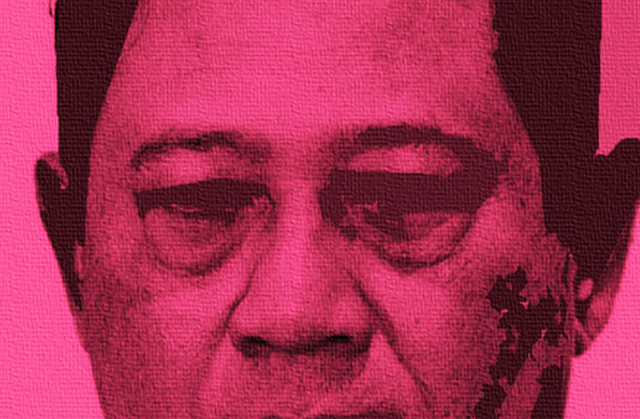 Thus, while the KPK gained some high profile scalps in its fight against corruption, Yudhoyono didn’t make attempts to thoroughly reform the country’s notoriously corrupt police force, to deepen the process of military reform that had begun early in Indonesia’s transition but subsequently stalled, or even to embark on major structural reforms of the country’s civil service in order to begin rooting out the corruption that is endemic to it. To be sure, things could have been worse. Yudhoyono viewed Indonesia’s democratic consolidation as his greatest achievement. He was notoriously sensitive to public opinion—something that made him an easy target of mockery but which also inclined him to respect majority views and defend democratic practices. Democratic stability was an important achievement in its own right. But most of the deep and underlying structural problems that Yudhoyhono inherited from his predecessors—a powerful oligarchy that dominates the country’s major political parties, security forces that are virtual laws unto themselves, a public administration that is deeply corrupt—were passed on, in most cases virtually unchanged, to Jokowi. Many of Jokowi’s problems are of his own making. But he inherited a legacy of lost opportunities. Edward Aspinall is a researcher at the Coral Bell School of Asia Pacific Affairs, ANU, and co-editor, with Marcus Mietzner and Dirk Tomsa of The Yudhoyono Presidency: Indonesia’s Decade of Stability and Stagnation. Image courtesy of Flickr user AK Rockefeller.